Cutting Edge Fireworks is a wholesale fireworks distributor selling a premium drop shipped container fireworks brand that delivers a powerful line of innovative products every year! 31 shot - 500g cake featuring red, blue, green, and lemon colors. Effects include glitter mines, glitter willows, 3 stage whislting, sparklers, and sparkler mines. 25 shot - 500g cake featuring red, green, white, silver, and blue colors. Effects include sparkler tails, glitter, spinner tails, falling leaves, and crackling. 20 shot - 500g cake featuring white, silver, red, green, and purple colors. Effects include glitter willows, chrysanthemum mines, glitter tails, willow, long crackle, and crackle mine. 26 shot - 500g cake featuring rose, green, blue, and purple colors. Effects include sparkler mines, sparkler breaks. 40 shot 500g cake featuring white, red, green, blue, purple, lemon, and silver colors. Effects include glitter mines, sparkler tails, sparkler, crackling, chry. mines, and brocade crown. 16 shot - 500g cake. Features colors blue, orange, purple, green, red, silver. Effects include sparkler mines, glitter, chrysanthemum, whistling tail, and crackling. Why Buy Cutting Edge Fireworks? Need a wholesale fireworks distributor? 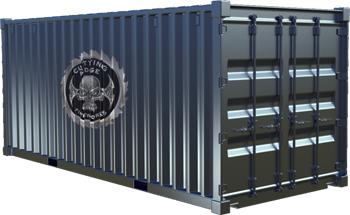 Cutting Edge Fireworks is a drop ship container program that provides premium consumer fireworks. Cut out the middle man and get fireworks drop shipped from China direct to your door. Save 20-30% off normal fireworks distribution channels.